"1313 N Ritchie Court is located right off the lakefront on a very small street with just 5 other single family homes across the street." 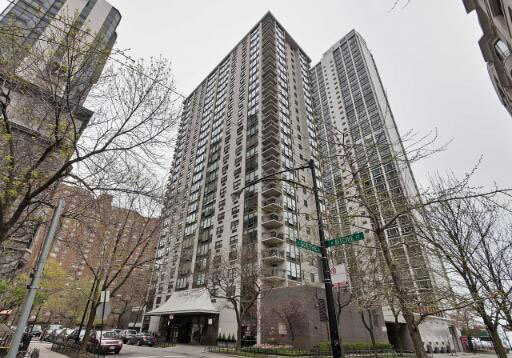 1313 N Ritchie is a classic Gold Coast high-rise in an unbeatable location, just a half-block from the lake. Potential buyers will appreciate the building's many amenities as well as its proximity to downtown Chicago and all of the shopping, dining and nightlife options of the city. Building amenities include an outdoor pool, fitness center, doorman, sun deck and spa located in the lobby. Residences of 1313 North Ritchie offer a number of floorplans and a variety of fixtures and finishes. The lake is visible from nearly every unit and all residences feature private balconies. 1313 N Ritchie is pet friendly and allows both cats and dogs. Onsite parking is available for rent in the attached parking garage.